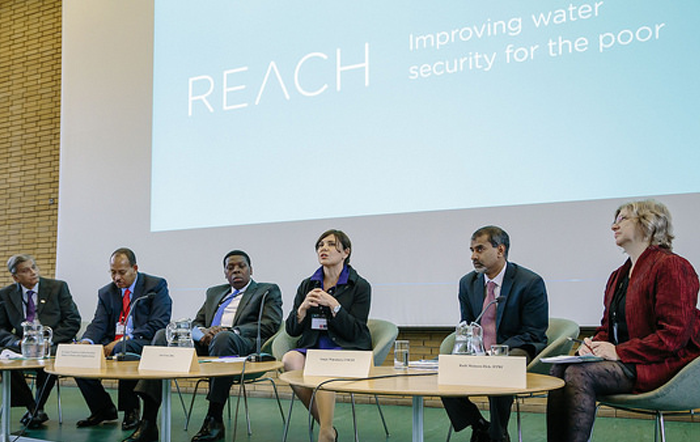 Opening today, the REACH International Conference on Water Security and Poverty 2019 celebrates achieving its most diverse gathering of practitioners and scientists to date. In addition to achieving an equal gender balance, half of attendees represent countries in Africa and Asia, and one-third are early career researchers. The make-up of the conference reflects the REACH programme’s core aim, to improve water security for the poor, through interdisciplinary collaboration and by forging the next generation of researchers and water leaders. Over the next three days conference attendees will discuss key results to date from REACH in Bangladesh, Kenya and Ethiopia, and continue to shape major academic, policy and practice debates around water security and poverty.